In this section, you can configure the printers required for printing bills. Go to POS -> PRINTERS to enter the page. 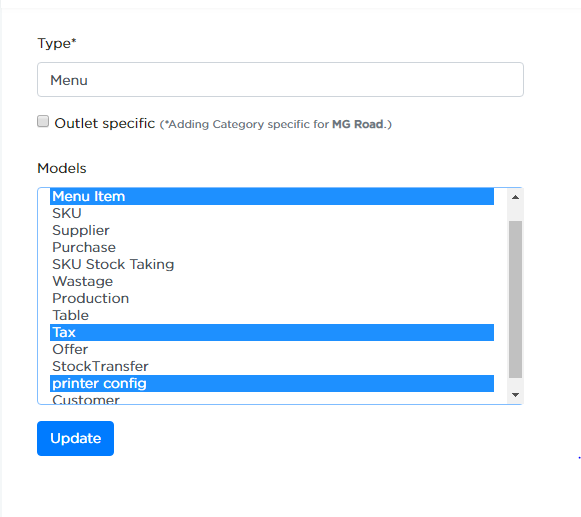 Before configuring the printers, you need to map the Menu category to printer config model. That is done in SETTINGS -> Categorization and Tags. Click here for more details. Click ADD PRINTER to add printers to the system. As shown in above example, "HP" prints the KOT tickets of the entered Menu categories. NOTE: Settled order bills will be printed by the local printer. Is Default? : If selected/checked, it specifies that the entered printer is a default printer. Is Local? 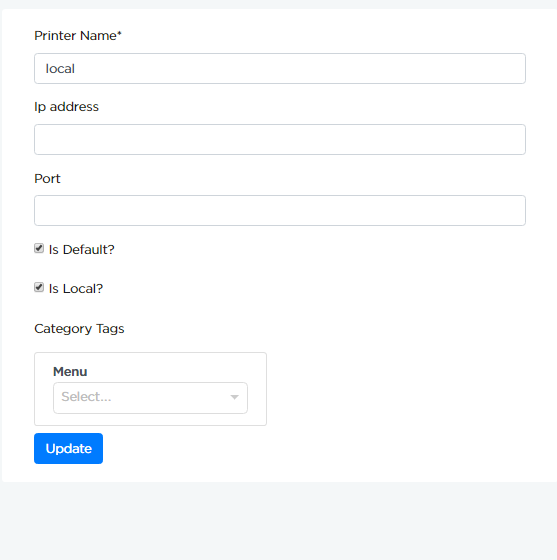 : If selected/checked, it specifies that the entered printer is locally connected to the system. As shown in above example, "local" printer is connected locally to the system and it is the default printer. 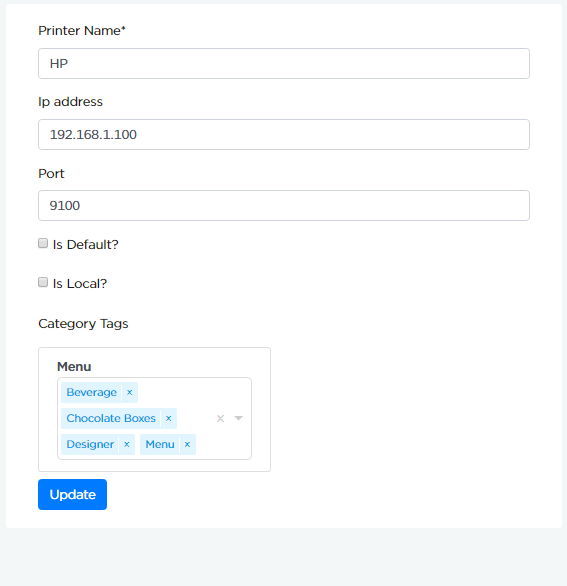 Since the printer is connected locally, Ip address and Port number are ignored. IMPORTANT NOTE: All the categories order bills will be handled by the local printer by default.